Can Dogs Eat Lentils? Are Lentils Good Or Bad For Dogs? Today’s question: can dogs eat lentils? Scroll down for detailed answers. 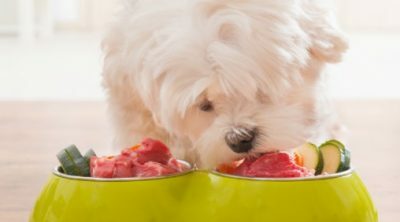 Dog owners are trying to incorporate many healthy alternatives to the food of their dog by incorporating many of their own favorite foods into the diet of their dog. Sharing one’s food preferences may seem fun, kind, low cost, and part of the fun of having a dog. On the other hand, serving dog’s people food can lead to finicky eating, health problems, obesity, and even death. Whole foods without seeds, shells, and toxins are generally deemed safe to offer your dog; however, many are looking to bean-like foods and experimenting with lentils. 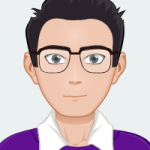 With lentils becoming a trendy type of food to enjoy, and with lentils being able to be bought in bulk and stay fresh, dog owners may view this food as a safe and cheap treat to share with their dog. Lentils are healthy and full of beneficial compounds, so you might have thought of sharing some lentils with your canine buddy. When it comes to providing your furry pet with a balanced, healthy diet, you need to make sure the foods you choose offer the dog everything his body needs. 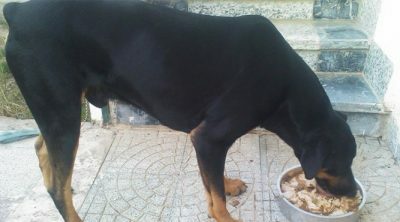 On most occasions, high quality dog food offers your dog all s/he needs in regards to nutrition and you as an owner do not need to supplement to this diet. Thus, can dogs eat lentils? While dogs will pretty much eat anything since they are notorious hunters, foragers, and eaters, there are many human foods that are dangerous for the dog to ingest. 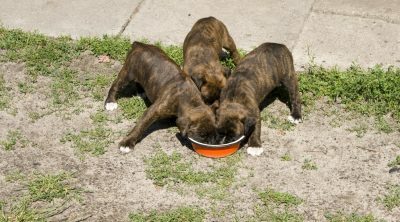 Many risks occur when a dog eats human food and the smaller the dog, and the more specific the breed, the more likely the dog is to have a reaction to food outside the normal dog diet. Therefore, being informed on the subject is something every dog owner should do. Always look into whether the food you wish to serve is safe, and ask vets on their opinion of particular foods. Advice from friends is good as well, but the advice of a doctor and well researched papers should be taken before all else. Now let’s find out the pros and cons of feeding lentils to your dog. Yes, your dog can eat lentils. Lentils embody a healthy source of protein, fiber, and iron. Generally speaking, your dog is most likely to benefit from having a cooked meal including lentils. Lentils are healthy and your dog can take advantage of their beneficial properties. The lentils are alkaline and does not cause gas for most dogs. This is important because gas in dogs can be painful and also cause bloat. Bloat can eventually lead to death if left untreated. Caring for the gas bubbles in your dog’s belly begins before food is given. Do your research and look for foods that are alkaline based. Choosing alkaline foods is a better alternative that grabbing any type of food of the shelf and tossing your dog a treat. Split yellow lentils and split red lentils are the best and most digestible lentils to give to your dogs. However, dogs digest beans, including lentils, differently than humans. This is why you should pay close attention to your dog’s reaction to the new food, to spot possible digestive or bowel issues that might occur. When giving your dog lentils for the first time, always offer a small amount and watch for a reaction. In the event your dog has a reaction, continue to monitor and make notes of the symptoms and confer with your vet right away. Moreover, if your dog reacts positively to the new ingredient, it is still recommended to provide lentils to your canine buddy only occasionally and in moderation. Just because your dog can tolerate the lentil does not mean the lentil should always be offered. You should not make beans a regular addition to your dog’s diet and neither should it replace his usual food. Doing so could cause your dog to become a picky eater and refuse his/her traditionally healthy food made for their bodies. Also, the food that is tolerated once or twice may not become a tolerated food if given often and in place of dog food. Lentils are an ingredient considered as part of a recommendable meal for people suffering from diabetes. The bean has low sugar content, and provides vitamins and fibers needed to release toxins from the digestive tract. Lentils also help one feel fuller longer, and avoid overeating of other foods. The trick of eating low sugar and high fiber beans works for adults, and also works for the dogs. Thus, if your canine buddy has diabetes, you might consider including lentils into his diet and carefully watch for possible side effects. Your dog may have a lower body weight, less urges to find and hunt food in the kitchen and a better immune system from the added fiber content. Whether you decide to add lentils to the diet of your dog (with or without diabetes), it is best to consult with the vet if you plan on giving lentils to your dog regularly. The vet will offer the best advice and determine whether this is a need for your dog. Many people are looking for a fountain of youth and special foods guaranteed to prolong lives not just for themselves, but for their pets as well. It’s no secret that lentils are healthy legumes that provide our bodies with amazing beneficial compounds and healthy fiber. Lentils are an ideal source of cholesterol-lowering fiber. Lentils intake helps in hindering blood sugar levels after having meal. Lentils provide great nutritional value. They are low in fat and the calorie intake is low. 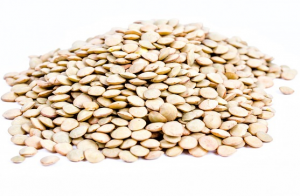 These multi faceted benefits bring lentils to the fore front on the healthy food list. A food that is low fat, low cal, high in fiber and lowers blood sugar? This simple bean like food offer so much positivity to the body, it’s a wonder why lentils are not the prescribed food by doctors to naturally cull health problems. With the huge benefit to humans on a nutritional basis, the vitamins and minerals should also have the same effect upon the body of a dog. This legume is an excellent source of iron which provides your furry pet the amount of energy s/he requires to be healthy and active. Dogs must have a strong amount of iron in their system to have a healthy blood count-just as their owners need proper blood count and circulation. Iron is an essential part of hemoglobin. Its role is to transport oxygen from the lungs to the body’s cells while at the same time playing a crucial role in boosting the proper functioning of the metabolism and producing energy. Iron is a mineral your dog’s body requires for energy and cardiovascular health. Your dog should have enough iron in his/her diet via the ingredients in your dog food. Iron is a key component in a met based diet and can be found in most kibbles and moist foods if needed. In the event your dog is low on iron, had a serious accident or surgery, or has been advised to have the iron levels increased, lentils are a good, natural source of vitamins to offer your dog. You may already have the beans on hand, making this food an even easier choice to offer your dog as a supplement. 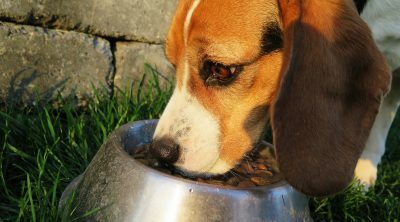 Even though lentils are healthy and nutritious addition to your dog’s diet, they can also present various side effects. 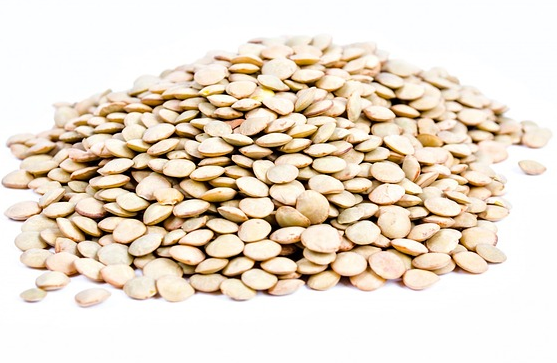 Lentils contain high levels of phytate as well as trypsin inhibitors. To decrease the phytate content, you can consider soaking the lentils before cooking them. It’s best to soak them overnight whether you’re cooking the lentils for yourself or your furry pet. While this mostly depends on every individual dog, lentils consumption may lead to gas. However, that depends on the dog, as every dog reacts dissimilarly to different foods, lentils included. However, compared to other beans, lentils are better digestable. The worst thing that could happen is that they will cause your buddy digestive upset, diarrhea and gas. Cooking lentils can’t be easier. Just add these legumes in a pot of boiling water and decrease the heat and let it simmer. You should know that green lentils require 30 minutes of cooking while red lentils need approximately 20 minutes. Lentils should be well-cooked and preferably mashed or pureed. You might also consider adding some carrots and brown rice to your dog’s home cooked meal to offer your pet a varied meal. Rice is also great for treating loose stools or upset tummy. However, steer clear of including any spices or salt. Remember, you are preparing this food for your dog and extra spices are not suitable for pets. As a matter of fact, salt is utterly harmful to dogs. 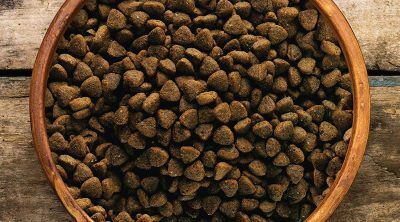 You can add cooked lentils to your dog’s usual canned dog food as well. This way the can of food lasts a little longer, but will add omega-3 and omega-6 fatty acids and other minerals to it. 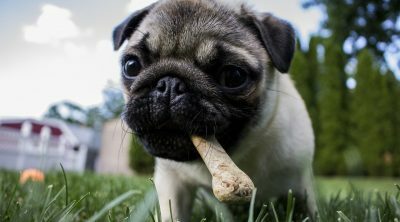 Fatty acids help to keep your pet’s coat and skin and healthy. The bottom line is that lentils are healthy and beneficial for your dog. However, as the same diet doesn’t apply to all canines, supervising your pet’s behavior after introducing new ingredients is always a good idea. Lentils provide your furry pet with healthy protein, energy, high levels of essential minerals, including iron and magnesium, assuring your pet’s dietary requirements. Just remember to introduce any new foods, including lentils, to your dog gradually and in small quantities. Monitor your pet afterwards for any suspicions behavior such as digestive issues and loose stool. If your pooch doesn’t show any unusual symptoms, you can continue with the new food.